There are two things most successful websites have in common: excellent content and stellar designs. If your site’s design is lackluster, your content won’t be able to shine, and you’ll drive visitors away. That means you need to start thinking about style from the moment you hatch a new project. Finding a reliable web host. Choosing a platform to build your website with. Setting up the tools you need to bring your design to life. Creating a mockup of your web design. Working on a design prototype. Checking to see if your design looks good on mobile devices. Don’t worry; you can create a stunning website even if you’re a complete novice. So let’s talk about how to design a website! Before we talk about how to design a website, we need to take care of a few technical matters. First, that means finding a quality web host for your new site. A lot of people just look for the cheapest host they can find and call it a day, but that’s usually a mistake. Not all web hosts provide the same level of service or features, so you’ll need to shop around until you find a reputable option. As you might expect, most web hosts claim to meet all of these criteria, so it’s up to you do to your own research. The best way to do this is to look for multiple independent reviews for whichever host you’re considering. Along with offering accessible hosting, we also include a free domain with our annual Business and Premium plans, so remember to check those out. Once you have your hosting in place, it’s time to choose which platform you want to use to build your website. You can always code it from scratch if you want to, but that’s an option best suited to experienced developers. As far as website platforms go, we’re big fans of Content Management Systems (CMSs). These tools enable you to create professional websites and manage large libraries of content, yet most are beginner-friendly. This particular platform powers over 30% of the web, so you know it means business. WordPress is easy to use, and it offers a staggering amount of customization options thanks to its plugin and theme systems. This particular platform is a step up from WordPress in terms of complexity, but it makes up for the extra work involved with its built-in Search Engine Optimization (SEO) features and security settings. Plus, Joomla does a great job of handling custom content types out of the box, which is an area where WordPress struggles without some customization. Website builders offer you an easy way to get your site up and running fast, while still allowing for a decent amount of customization. If that sounds appealing, we offer a custom site builder with all Hostinger plans, so you might want to start by checking that out. Throughout the rest of this tutorial, we’re going to focus on WordPress, since it’s the most popular platform for building sites. What’s more, it offers a lot of tools to help you learn how to design a website. After you install WordPress, you’ll also need to set up a few extra tools if you want to bring your web designs to life. First and foremost, you’re going to need a theme, which should correspond with the style you have in mind for your website. Take a look around for themes you like, keeping an eye out for strong reviews and recent updates. If a theme has neither of those, then you should stay away from it, because it’s a lot more likely to cause problems. Once you have a theme in mind, you can install and activate it. At this stage, we’re also going to recommend that you use a WordPress page builder plugin. 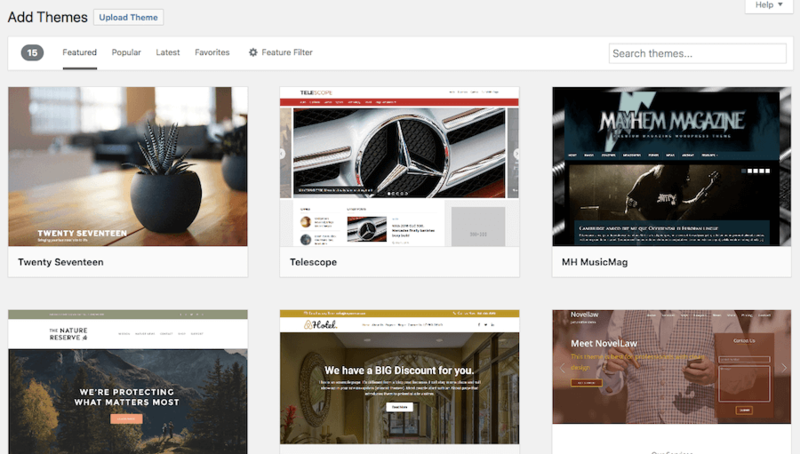 These tools enable you to design stylish websites easily. WordPress may be simple to use, but getting your website looking just the way you want requires some finesse. With a website builder plugin, you can just tweak your design on the fly. 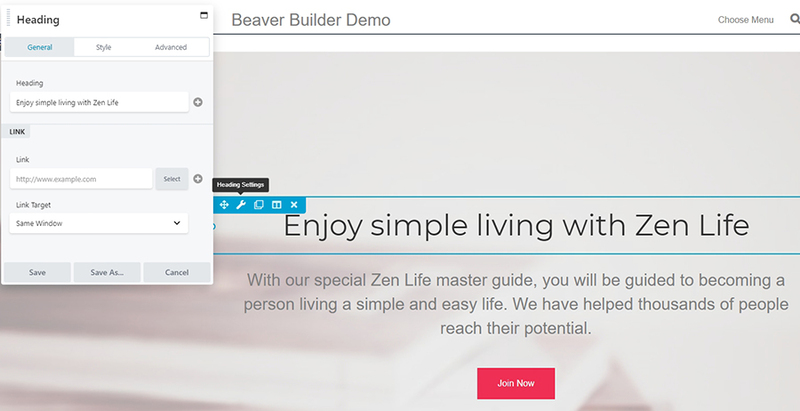 If you’re not a fan of Beaver Builder, don’t worry – there are plenty other options you can try out. Once you’ve found your match, it’s time for the next step in learning how to design a website. So far, we’ve been laying the technical groundwork required before you start to design a website. Now, however, is when your creativity can take over. Right now, you have a WordPress website with a stylish theme and a page builder plugin ready to go. Next up, you’ll want to get out a pad of paper and a pencil (yes, we’re going ‘old school’), which you’re going to use to sketch how you want your website to look. This is called a mockup, and it doesn’t have to be incredibly detailed. The important part is that it needs to include all the elements you want to see on your website. You can, of course, add as much detail as you’d like. Ultimately, your mockup will serve as a visual reference when you start designing your website for real. If you’re not one for pencil and paper, there are also a lot of tools you can use to create mockups on your computer. The downside is that they all have a learning curve, which means you’ll need to spend a little more time on this step. In any case, go ahead and revise your mockup as many times as you want to, until you feel comfortable with the way it looks. Then, let’s move on to the next step. Once your mockup is ready, it’s time to translate it from paper to the digital world. In other words, you’re going to start prototyping your web design. Since you have your trusty website builder ready, your first move should be to open it using the WordPress editor. Then you can start adding the elements you want to your pages, and arranging them just as they appear in your mockups. This process will vary depending on what site builder plugin you choose, of course. However, at this stage, we recommend not getting bogged down in the details, such as deciding what font sizes to use or picking the perfect colors. There will still be time to refine your design afterward. What’s important now is that you construct a working prototype of your website, which includes all the elements you placed within your mockup. With a prototype ready, you’ll be able to spot any layout decisions that don’t work and make changes to improve your website’s design. This is the point at which you’ll start to focus in on the smaller details. In most cases, your mockups won’t survive the transition to a prototype unscathed. However, that’s to be expected. Likewise, your first prototype probably won’t look much like your finished site. In addition, how long it takes you to design a website will depend on how much of a perfectionist you are. You probably have dozens of elements to customize and layout options to play around with, so don’t rush yourself. One quick tip to keep in mind now is not to worry too much about your website’s text and other types of content. To get your prototypes ready faster, go ahead and use text placeholders and stock images. When your layout is done, and everything is where you want it to go, you can replace those with the content you’ll actually use. By now, you’ve already learned a lot about how to design a website. However, there’s one last step before you can say that your design is ready for prime time, and that’s making sure it looks good on mobile devices. Nowadays, mobile traffic has overtaken its counterparts, so ensuring that your designs look good on smaller resolutions is key. If your website breaks down when someone accesses it from a smartphone, you’re going to have a lot of disappointed visitors and a pretty high bounce rate, which is something you want to avoid. The good news is that most WordPress page builders (such as Beaver Builder) are mobile-friendly out of the box. That means the designs you create using them should look great on mobile devices, without you needing to do anything else. Still, it never hurts to play it safe and check out for yourself how your website looks on a smaller screen. There are a lot of ways you can do that. For example, you can use your own mobile device to access your website. 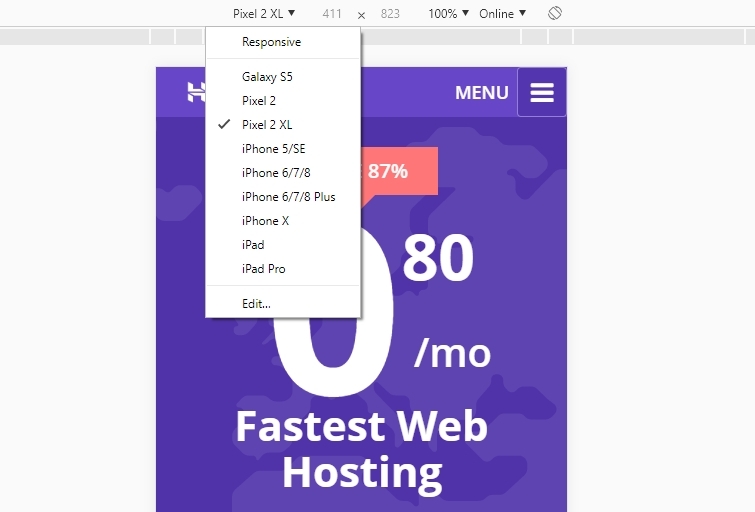 Another, better alternative is to use Chrome’s Dev Tools, which enable you to visualize your website at different resolutions. If you want to be thorough – which you should be – we recommend that you test multiple resolutions to make sure your website looks and works as intended on all of them. If you run into any problems, return to the prototype stage and use your website builder to fix them. Once they’re taken care of, your design will finally be ready for the public. If you have a professional-looking website, then you’ve already won half the battle. With a great design, people will pay more attention to what you have to say, and getting conversions should be easier. The good news is that you don’t need to be a professional to learn how to design a website that looks fantastic. All it takes is following some best practices, using the right tools, and working away until your site looks just right. Do you have any questions about how to design a website in WordPress? Ask away in the comments section below!